The Crucifixion of Jesus Christ is amongst the most substantially documented events in the history of the world. There is more evidence for Jesus death in Israel, during the time depicted by the New Testament, than perhaps any other person of antiquity. Professor Peter Schäfer, in his book: “Jesus in the Talmud”, records that Talmud Sanhedrin 43a contains the following text regarding Jesus of Nazareth:. This statement is not from the New Testament, but from the record of the Jews at the time that Jesus was crucified. There are in fact, many substantial records of Jesus life, death, and resurrection from extra-biblical sources. ￼Today, the world’s leading scholars agree that the crucifixion of Jesus is a fact of history that is certain and indisputable. In truth, the events of the scourging and crucifixion are described as ranking so high in certainty that they are considered by experts as impossible to deny and the very basis for a foundation that Jesus of Nazareth lived, died, and rose from the dead, as the New Testament records. These facts are certain by the corroboration of the Bible, as well as secular history. The orders of Pontius Pilate to have Jesus scourged and crucified are documented by one of the greatest Roman historians ever to write on this period, Tacitus. As early as the second century Tacitus writes in his “Annals” of the Roman Empire, 116 A.D, (Annals 15,44) that under Caesar Nero, Pilate ordered the execution of Jesus of Nazareth by crucifixion. This record of Jesus execution by crucifixion under Pontius Pilate, written by Tacitus, is of immense value for the historicity of Jesus Christ. Being an independent source from both the Roman government and the Biblical text, Tacitus authenticates the narrative of the four gospels that Jesus was scourged and crucified exactly as the Gospels describe. Tacitus further relates the certainty that Christians at this time believed that drinking the blood and eating the body of Jesus of Nazareth would grant them eternal life. Scholars today confirm that the crucifixion of Jesus is a matter of historical fact, equal to any other event of antiquity. Even those who are regarded as scholars who do not believe in the deity of Jesus Christ, regard the scourging, and crucifixion as actual events that can be proven from extra-biblical sources. 2. Jesus was buried. See Prophecy 255. The accounts of Jesus Crucifixion and Resurrection are not only first hand narratives of the actual events, they are regarded as authentic artifacts of the historical record. In fact, the New Testament is considered by experts from science, archeology, history, and theology, as the best and most widely documented manuscripts ever assembled. The following chart illustrates the vast difference in the number of manuscripts that are in our possession today, from the New Testament, in comparison to other well-known documents of history. We have over 24,000 copies of the New Testament manuscripts, compared to the writings of “Homer” in second place, with just 643 copies. The closest time for the writing of the New Testament to the actual occurrence of the events they describe is 23 years, versus 500 years for the writings of Homer. As we examine the Crucifixion of Jesus, we do so with great confidence that the accounts left to us from the New Testament are the actual events that took place on April 14, 32 A.D. We should remember that we also have 59 Old Testament prophecies in this book that document that the Messiah would be put to death by crucifixion. The story of Jesus’ crucifixion began in the Garden of Gethsemane, where He often went to spend time with the Father and particularly on the night before He would offer His life for us. Jesus prays and asks the Father if there is any other way that the Salvation of all human beings can be accomplished, other than His suffering the horrors of the cross. Prophecy 83: Despite all of God’s wrath being poured out on the Messiah, He commits Himself to God and trust the Father to exonerate Him after He makes His life a sacrifice. Psalms 22:19-21 But You, O LORD, do not be far from Me; O My Strength, hasten to help Me! Deliver Me from the sword, My precious life from the power of the dog. Save Me from the lion’s mouth And from the horns of the wild oxen! You have answered Me. The phenomenon of sweating drops of blood is called “Hematidrosis.” Tiny capillaries in the sweat glands break open and mix blood with sweat during moments of intense stress. John 18:3-6 Then Judas, having received a detachment of troops, and officers from the chief priests and Pharisees, came there with lanterns, torches, and weapons. Jesus therefore, knowing all things that would come upon Him, went forward and said to them, “Whom are you seeking?” They answered Him, “Jesus of Nazareth.” Jesus said to them, “I am He.” And Judas, who betrayed Him, also stood with them. Now when He said to them, “I am He,” they drew back and fell to the ground. Although Judas has brought a detachment of troops to arrest Jesus, the Lord was still in control of everything that was happening. When the soldiers arrived they asked if He was Jesus, the one whom they were looking for. The Lord acknowledges their request with the words: “I AM He.” The two words “I AM” are the eternal name for God that Moses received from the Lord on Mount Sinai. As these words leave Jesus’ mouth, all of the men who come to arrest Him fall over backwards. Peter—not recognizing the significance of that moment and the fact that Jesus had everything fully under His control, in fulfillment of prophecy—began to take matters into his own hands. Matthew 26:53 (Jesus speaking to Peter) Or do you think that I cannot now pray to My Father, and He will provide Me with more than twelve legions of angels? A “Legion” is more than 6,000 Angels. “Twelve legions of Angels” would be 72,000 Angelic beings. In the Book of 2 Kings, one Angel killed 185,000 Assyrians in just one night—all by himself. 2 Kings 19:35 And it came to pass on a certain night that the angel of the LORD went out, and killed in the camp of the Assyrians one hundred and eighty-five thousand; and when people arose early in the morning, there were the corpses—all dead. A soldier struck Jesus across the face for remaining silent when questioned. The guards then blindfolded Jesus, spit upon Him, and struck Him in the face. Prophecy 224: The Messiah will be beaten in His face and have His beard pulled out by His revilers. Isaiah makes a further commentary on how severely the Messiah will be beaten: He will barely be recognizable as a man. Forensic Report: Indications of severe facial beating. 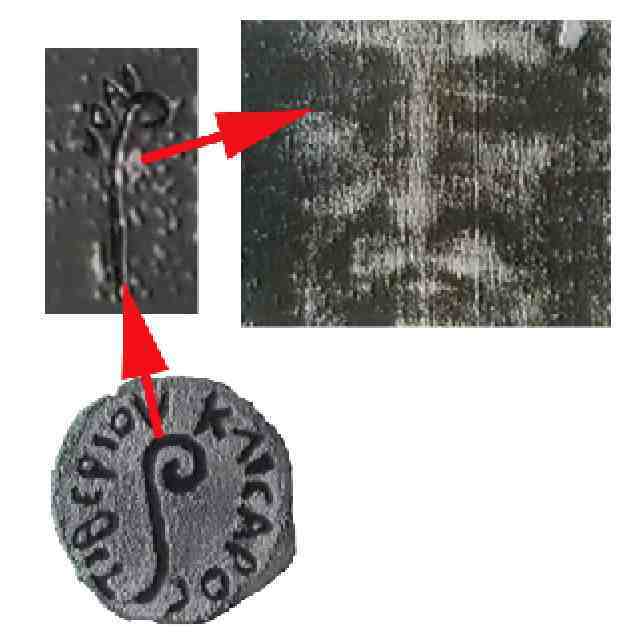 The letters from this coin that are embedded into the cloth of the Shroud are only 1/32nd of an inch high; being so small, it is impossible that they were painted or dyed into the cloth. All of these facts, being empirical evidence for the date of the shroud originating from Pilate’s rulership, and are a certain confirmation that this Shroud did in fact cover Jesus of Nazareth after His death and during His resurrection. As this chapter progresses, I will present to you scientific evidence which proves the images observed on the Shroud were made by a supernatural process that is unknown by scientists today and cannot be reproduced by any known imaging process that is available anywhere. One of the amazing protective mechanisms that the Lord has built into our bodies is the involuntary reflex action to recoil when our eye detects a blow coming towards us. As the brain processes this information in a microsecond, it sends a signal to the muscles of the neck and upper torso to move the head back very quickly, thereby decreasing the damage done by the blow. By being blindfolded, Jesus could not anticipate the repeated blows to His face, thereby taking the full force of the punches and the resulting extreme damage that these blows would inflict. 1. No legal transactions, including a trial, could be conducted at night. 2. It was illegal for judges to participate in the arrest of the accused (John 18:3 John 18:28). 3. They struck Jesus various times when they questioned Him. According to Hebrew law, it was illegal to strike the accused during their trial. The use of violence against Jesus was apparently unopposed by the judges who were in attendance (John 18:22,23). 4. In a Jewish court, the accused is assumed innocent until proven guilty by the testimony of two or more witnesses. The Jews failed to find even two witnesses who could agree on what Jesus had done (Mark 14:59, Matt 18:63). 5. When it was discovered that the witnesses had disagreed in their testimony, Jesus should have been released immediately, and all charges against Him dropped (Mark 14:56-59). 6. A guilty verdict was rendered against Jesus without any real evidence being presented (John 18:30). 7. The voting process to condemn Jesus was illegal. Final judgment by law is determined by roll call, with the youngest voting first. When the vote was taken, all the members agreed together at the same time (Matthew 26:66). Prophecy 249: Although the Jewish leadership clearly violated their own laws, Jesus never once opened His mouth to defend Himself. Amazingly, Isaiah predicted that this would happen, more than 600 years before Jesus was born. Isaiah 53:7 He was oppressed and He was afflicted, Yet He opened not His mouth; He was led as a lamb to the slaughter, And as a sheep before its shearers is silent, So He opened not His mouth. Mark 15;4-5 Then Pilate asked Him again, saying, “Do You answer nothing? See how many things they testify against You!” But Jesus still answered nothing, so that Pilate marveled. Why did Jesus remain silent and refuse to say anything to defend Himself? We must remember that Jesus came to represent us. He came to take the punishment that we all deserved for our sins. We are guilty, and there is no real defense that we could offer to God for our sins. As we would all stand silent before God with no defense, so also Jesus stood silent as He was accused. It is interesting that in the two occurrences of the Bible, where men stood in the presence of God—Isaiah and John—both men fell “as dead” before the Lord in complete helplessness, unable to even stand before the Lord. Revelation 1:17 And when I saw Him, I fell at His feet as dead. The Book of Revelation Chapter 20 describes the time when all those who have rejected Jesus as their Savior are seen standing before God at the Great White Throne. There is no record of any of these people being able to utter a single word in His presence. Jesus is taken from the Praetorium at the Fortress Antonia to Pontius Pilate. 1. Jesus perverted the nation of Israel. 2. He opposed paying taxes to Caesar. 3. Jesus claimed to be a king, which was considered sedition against Roman Authority. This was the most serious crime that Jesus was accused of, as far as the Roman Government was concerned. 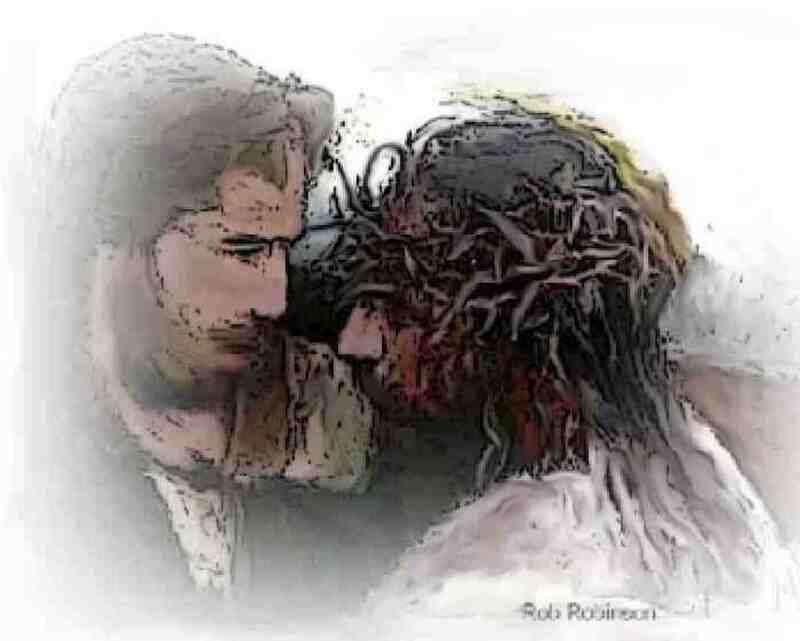 John 19:1 So then Pilate took Jesus and scourged Him. The purpose of the scourge was to exact a confession from the condemned. With each strike of the whip, a man had the opportunity to confess his crimes publicly. If a confession was made early, then the punishment would often be less severe. In the case of Jesus, He had no crimes to confess. He was innocent of all charges that the Jews had accused Him of. Jesus’ silence only added to His torment, as the blows from the scourge continued violently, one after the other. Very often, even the strongest man wound succumb to the massive blood loss and shock, that would ensue from being beaten repeatedly and having the flesh torn from their body. 2. This leather-handled implement of pain could have from 6 to 12 leather tails attached. 3. Pieces of broken glass, twisted metal, or broken bone were often tied to the end of each strip of leather. 4. Jesus was on His knees; His hands were tied in front of Him—to a post which was before Him. 5. The “cat” was laid across the back of Jesus, and then pulled away suddenly and violently. 6. This action caused the flesh on His torso to be ripped and torn into ribbons. The traditional number of strikes by the scourge for a capital crime was 40. Seeking to be seen as merciful, the Jews asked that Jesus’ sentence be reduced to 39. Prophecy 223: The Messiah will give His back to those who will scourge Him. Forensic Report: The torso shows signs of severe beating by an imprint of the device used. Many people do not understand the significance of the Crown of Thorns that the Roman soldiers thrust into Jesus’ skull. In the Book of Genesis, God pronounces a curse upon Adam, after he disobeyed God and was cast out of His presence. The thorns represented the curse that was pronounced upon all human beings, as we are all born sinners, separated from God. When the Crown of Thorns was placed upon Jesus head, this was significant of Him taking upon Himself—the curse for all our sins and removing it from us forever. Seen here as an emblem of our curse, up to four inch long, Judean thorns are woven into a crown and pressed into Jesus’ skull. The bleeding from this injury would be tremendous. The skin located on this portion of the head is one of the areas of the Human Body that contains a great number of blood vessels. Prophecy 46: The Messiah will take our curse upon Himself. Forensic Report: Injuries on the scalp consistent with the crown of thorns. The forensic report by Dr. Bucklin describes a square image on the forehead. In the following chapter, “The Resurrection of Jesus,” item number 6—in the death certificate that was attached to the forehead of this crucified man contains the Greek letters, “T iber iou,” which means “Tiberius.” Clearly, a description that this man who was covered by the Shroud was crucified under the Roman Emperor Tiberius. This is further confirmation that this Shroud covered the body of Jesus of Nazareth. 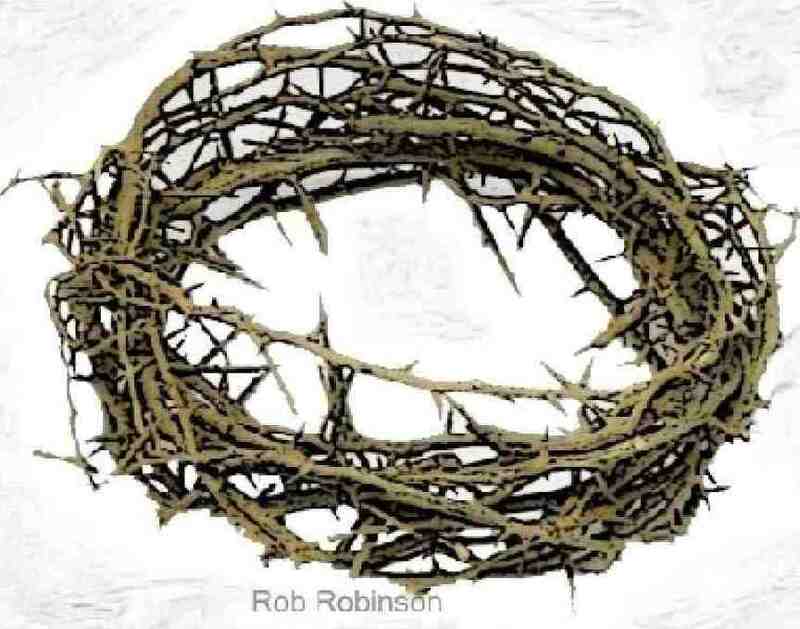 The crown of thorns, the curse, and the suffering—Jesus took these all, and He never resisted. Jesus occupied the punishment that we deserve because He loves us all so much—He was not willing that we should have to experience any judgement from God for our own sins. Next, the Roman soldiers threw a robe across Jesus’ shoulders and placed a reed in His hand as a scepter. An interesting detail here is in the type of robe that the Roman soldiers placed upon Jesus’ back. Purple was a color that was worn by vassal (servant) kings of the Roman government. When the Roman government conquered a new nation, they would often allow a local leader to remain in limited power, under direct authority of the Roman authority. These rulers were nothing more than property or servants of Rome, with no real authority of their own. It seems certain that the intent of a purple robe being placed on Jesus was to further mock and torment Him as nothing more than a tool of the Emperor, to be used as he saw fit. The Crown of Thorns was no doubt also an attempt at making Jesus the servant king of the Emperor. Since Jesus had insisted that He was a King, it is likely that the Roman soldiers set out to make a mockery of His claim. What they did not know was—the color purple was also the color of royalty, a crown was the sign of a king, and a scepter was used to rule with. By placing a crown, a purple robe, and a reed staff in Jesus’ hands—they were unwittingly acknowledging that He is in fact royalty. Had they realized that He really was the King of all kings and that at the end of the age, they would bow their knee to Him and acknowledge His Lordship over the whole earth, as He ruled with a rod (scepter) of iron—they might have thought differently about the way they had treated Him. Matthew 27:30-31 Then they spat on Him, and took the reed and struck Him on the head. 31 And when they had mocked Him, they took the robe off Him, put His own clothes on Him, and led Him away to be crucified. The soldiers spit in Jesus’ face, take the scepter from His hand, and strike Him across the head. Finally, they rip the robe from Jesus’ already torn and bleeding back. The effects of ripping this cloth from Jesus’ wounds was catastrophic. By this time, the coagulated blood from the scourging had begun to stick to the cloth. As the soldiers rip the robe from Jesus’ battered body, they tear open the flesh once again, causing profuse bleeding. Prophecy 225: The Messiah will be spit upon while suffering for our sins. Isaiah 50:6 …I did not hide My face from shame and spitting. Prophecy 334: The Messiah will be proclaimed as “King” and “The Son of David,” at Jerusalem. Zechariah 9:9b Rejoice greatly, O daughter of Zion! Shout, O daughter of Jerusalem! Behold, your King is coming to you; He is just and having salvation, Lowly and riding on a donkey, A colt, the foal of a donkey. Although God gave the Jews over 400 Old Testament prophecies to enable them to identify the Messiah when He arrived, they missed the time of their visitation. The One who made the world and all that is within it, stood before the crowd gathered in the Praetorium, yet they shouted for Him to be Crucified rather than to receive Him. We may not understand that much of Jesus suffering was by mental torture inflicted upon him by all those who brutalized his mind and body. Imagine standing before people whom you have created, loved, and sought to draw to yourself, only to hear their great hatred and calls for your death. To be rejected, scorned, abandoned, and betrayed are perhaps some of the most painful and heart-wrenching experiences a person can endure. Jesus’ steadfast thoughts throughout this entire process was directed at loving the very people who shouted for His death. He looked back over the past 4,000 years and ahead, over 2,000 years, to all those who would receive His love and invitation to have their sins carried away by this great sacrifice; and He was glad to die for us all. The emotional suffering that Jesus endured was equal to, or exceedingly greater than the physical torture wrought upon His body. It is certain that no person has ever suffered as profoundly as Jesus anguished during these 24 hours of horror. He had done nothing wrong, yet the full weight of all the sins of the world were placed upon Him. He did all this willingly, gladly, exceptionally—for He could do nothing else but give all that He had. From His great heart of love and compassion, Jesus placed His eternal existence before the world and allowed evil men to torture Him to death. He did all of these things so that He could demonstrate how great the love of God is for every person—even those who thrust the thorns, tore His flesh, and pierced His body. Prophecy 71: The Messiah will be forsaken by God, because He will take the world’s sin upon Himself. Prophecy 72: The Messiah will “cry out” to God during His suffering. Prophecy 73: The Messiah will be despised, rejected, abused, and thought to be a worm—even less than a man. Prophecy 74: Amazing detail of the Messiah’s rejection: The people will shoot out their lip and shake their heads at their disgust with Him. After the scourging by 39 strikes upon Jesus’ body, He is a medical catastrophe. 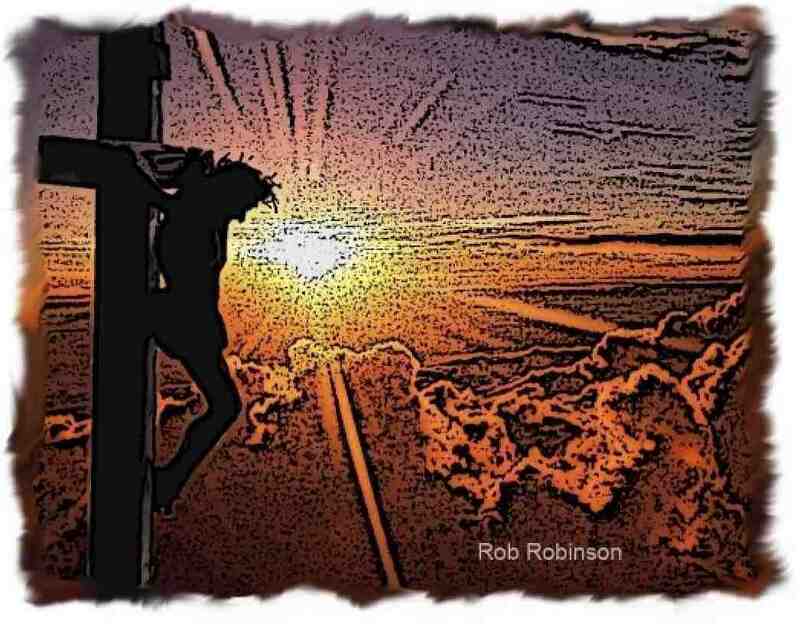 From His calves to His shoulders, the flesh from Jesus’ body hangs in ribbons. Bleeding profusely—barely able to stand, much less walk—Pilate brings the Lord once again before those who cried out for His death. It is apparent from earlier text that Pilate was seriously considering that Jesus was no ordinary man. When Jesus was questioned and He did not seek to defend Himself, the scriptures indicate that Pilate was amazed by this silence. Perhaps, the Roman leader had never heard a man remain silent to defend himself when he was under the threat of death. From Pilate’s view, Jesus appeared to be an innocent. He wondered why Jesus would not defend Himself against the many false accusations that had been brought against Him. Surely, Jesus understood that should the Jews be successful in their condemnation of Him, that this would mean His certain death. Pilate was haunted by the abiding question: Why would Jesus not try to save His own life? This must have given Pilate great pause in considering the true identity of this ominous figure before him. Matthew 27:13-14 Then Pilate said to Him, “Do You not hear how many things they testify against You?” 14 But He answered him not one word, so that the governor marveled greatly. In John 19:8 above, when the Jews inform Pilate that their primary charge against Jesus was His claim to be the Son of God, this caused great fear in the heart of Pilate. It is certain, by the account given in the gospels, that Pilate did not himself want to condemn Jesus—believing Him to be innocent and perhaps even imagining, by this time, that Jesus was who He claimed to be. We learn that Pilate’s wife had experienced a dream in which she understood Jesus to be innocent. She had apparently shared this dream with her husband, while he sat in judgement over Jesus. It is my opinion that after Jesus informs Pilate that His arrest by false charges and condemnation to death were under His power and not by Pilate’s authority, the Governor believed Jesus to be the Son of God. Unfortunately, like Judas, his belief did not bring him to a saving faith—for he did not have the courage to stand up against the Jews and his own fears, and set Jesus free. Like many people today, fear over what people might think—should they publicly declare their faith in Jesus, or the fear of losing a career or material wealth—are insurmountable obstacles to fully committing themselves to Jesus. It is interesting that the Old Testament predicted, that Pilate would be one of three “shepherds” in Israel who would be “dismissed” because they did nothing to try and save Jesus life, knowing that He was innocent. Prophecy 344, given by Zechariah—he predicted that three “shepherds” would be dismissed in one month in Jerusalem as a result of their actions against the Messiah. Caiaphas was dismissed by the Syrian governor Lucius Vitellius, who was appointed by the Roman Government after Jesus died and rose from the dead. Pilate killed himself when he was banished from his job because of his corruption in overseeing Israel. Herod was removed by the Romans and exiled until he died. When these three condemned Jesus and did nothing to save His life, they all had their own careers and lives prematurely ended by God. This, in fulfillment of the word of God, through the prophet Zechariah. It is interesting that each of these rulers found the end of their careers, as determined by God, in the same month that they betrayed Jesus, just as Zechariah had predicted. Pilate had the opportunity to set Jesus free, having examined Him and found that He was innocent. It is clear from the testimony of the text found in the four gospels, that the Lord gave Pilate every opportunity to understand who Jesus truly was. Because Pilate had angered the Jewish authorities previously—which resulted in him being reprimanded by the Emperor—he was in fear that should Jesus be released, the leaders in Israel would send word to Caesar once again; and Pilate would be removed from his position of rulership. Even the common people who had gathered to hear Pilate’s judgment of Jesus—when they were given the opportunity to speak up and receive Jesus—they chose to reject Him and call for His crucifixion. If we should ever believe that God will not judge as guilty any person who rejects Jesus as their Savior, we should examine this text again where both Pilate and the Jews in Jerusalem rejected Jesus: Pilate was banished from Israel and later committed suicide; the Jews had their beloved city of Jerusalem surrounded by the army of Titus, and destroyed. Prophecy 233: Even among the Messiah’s own people, the Jews, they would not believe that He was the promised One. Isaiah 53:1 Who has believed our report? And to whom has the arm of the LORD been revealed? Prediction 12: Jesus prophesies the encirclement of Jerusalem and the destruction of the Temple. These events would happen within the generation of those who heard this prophecy. Luke 19:43-44 For days will come upon you when your enemies will build an embankment around you, surround you and close you in on every side, and level you, and your children within you, to the ground; and they will not leave in you one stone upon another, because you did not know the time of your visitation (this rejection here before Pilate). Matthew 24:34 Assuredly, I say to you, this generation will by no means pass away till all these things take place. The context of Jesus’ revelation to the disciples, in Luke 19:29-21:24, comes directly after Palm Sunday, 32 A.D. Jesus is describing the judgment that will advance upon Israel for her rejection of Him as the Messiah. The fulfillment of this prophecy occurred within one 40-year generation, in 70 A.D., as Titus brought his army against Jerusalem. Titus sacked the city and destroyed the Temple. Literally, “not one stone was left upon another,” just as Jesus had predicted. See Prophecy 309 for complete details. The specific details for how these events took place are described in Prophecy 309. Fearing men more than he feared God, Pilate turns Jesus over to the soldiers to be scourged and then crucified. John 19:16-18 Then he delivered Him to them to be crucified. Then they took Jesus and led Him away. 17 And He, bearing His cross, went out to a place called the Place of a Skull, which is called in Hebrew, Golgotha, 18 where they crucified Him, and two others with Him, one on either side, and Jesus in the center. After enduring six trials, Jesus has not eaten or drank for nearly 18 hours. He has been beaten, and suffered a massive loss of blood. It is certain, at this point, that His body was experiencing the effects of extreme dehydration, which severely taxed His heart, lungs, and vital organs to the point of failure. In spite of being abused beyond the point of endurance for most men, Jesus is compelled to pick up the massive 110-pound beam of the cross and carry it on His back for an additional 1/3rd mile to Golgotha, where they will nail Him to the wood until He dies. While on the road out of Jerusalem to Golgotha, Jesus collapses and drops the cross to the ground. Unable to stand and lift the massive wooden beam once again, a Roman soldier compels a man from Africa—Simon of Cyrene—to help Jesus take the cross the remaining distance to the place where He will die. Luke 23:26 Now as they led Him away, they laid hold of a certain man, Simon a Cyrenian, who was coming from the country, and on him they laid the cross that he might bear it after Jesus. Simon is a man caught between the paradox of time and eternity. He had no idea that the person he was lending assistance to had fashioned the tree that he was carrying. Simon could not have imagined as he gazed into the eyes of Jesus, that He had come out of eternity for the express purpose of dying for his sins. This brief encounter would leave this pilgrim from Africa a transformed man, who would carry the Messiah’s gospel back to his distant land, and lead many to salvation. Simon’s two sons, Alexander and Rufus, are listed among those who are a part of Jesus’ church years later. Imagine coming alongside Jesus: His body beaten so severely that He cannot walk another step, carrying His cross. Simon looked into the eyes of Jesus and saw His suffering, shrouded in love and compassion. He must have understood that this was no ordinary man, being led away for execution. He was about to lend assistance to the King of the universe. His name would be inscribed into the word of God forever as one who showed compassion to the Lord when He suffered for us all. Simon was transformed by this experience, and carried in his mind the image of Jesus’ affliction for the rest of his life. Of particular interest is the examination of forensic pathologist, Dr. Robert Bucklin, in his analysis of the Shroud of Turin. Forensic Report: On top of the shoulders of the crucified man whose image is fused into the cloth, a wound is observed that was apparently made by the scraping of an object that tore the flesh while being carried. John 19:17 And He, bearing His cross, went out to a place called the Place of a Skull, which is called in Hebrew, Golgotha, 18 where they crucified Him. 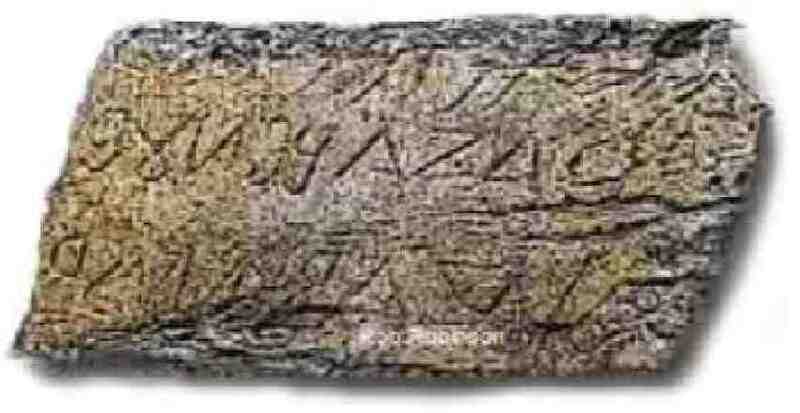 Then Pilate ordered that the name “Jesus of Nazareth, the King of the Jews” be placed on the plaque above Jesus’ cross. John 19:19 Now Pilate wrote a title and put it on the cross. And the writing was: JESUS OF NAZARETH, THE KING OF THE JEWS. The description that Pilate ordered for the sign placed above Jesus’ Cross has been discovered in a second location: the death certificate attached to the burial shroud of Jesus. In the examination of the burial cloth called “The Shroud of Turin,” scholars and scientists have discovered that the name “Jesus the Nazarene” was affixed to the shroud as a certificate of death. According to the correct burial procedure for the Jews at the time that Jesus was crucified, the Romans would only allow the family to take possession of the body of their loved one after one year. As a result of this requirement, a death certificate was attached to the burial shroud near the face to properly identify the body for retrieval by the family after a period of one year. Crucifixion is by design, intended as agonizing torture. The first Crucifixion recorded in the Bible is described by King Darius about 520 B.C., as noted in the Book of Ezra Chapter 6:1-11. Ezra 6:11 (King Darius) Also I issue a decree that whoever alters this edict, let a timber be pulled from his house and erected, and let him be hanged on it; and let his house be made a refuse heap because of this. Crucifixion was considered by Greek culture to be an undesirable method of execution for its graphic and cruel nature. However, Greek historian Herodotus records that a Persian general was put to the cross by the Athenians near 479 B.C. Matthew 27:33-34 And when they had come to a place called Golgotha, that is to say, Place of a Skull, 34 they gave Him sour wine mingled with gall to drink. But when He had tasted it, He would not drink. Mark 15:23 Then they gave Him wine mingled with myrrh to drink, but He did not take it. The gospel of Matthew describes this as a mixture of wine and gall; Mark describes it as wine and myrrh. There is no discrepancy here; both writers are correct. The wine that the Roman soldiers offered Jesus contained a bitter gum resin called myrrh. Wine that has turned bitter in the process of becoming vinegar was the common drink of Roman soldiers because it was cheap and readily available. It was common during a crucifixion that Hebrew women would mix myrrh with wine and give it to the dying as a sedative—to ease their suffering. Proverbs 31:6 Give strong drink to him who is perishing, And wine to those who are bitter of heart. Prophecy 119: At the crucifixion of the Messiah, He will be given wine mixed with gall. Myrrh is known to have analgesic or pain-relieving effect. Wine contains alcohol, which can also ease pain. The effects of mixing the sour wine of the Roman soldiers with the bitter myrrh, acted as a pain killer for those who were dying. On this first occasion when the soldiers offered Jesus soured wine with myrrh, He would not drink from it. At this point, Jesus had not completed the full payment that was required for our sins. For this reason, He would allow nothing to diminish His suffering. Jesus would bear the full wrath of God for all of us, and He would do so while fully sober and conscious of every affliction placed upon His body. Had Jesus taken the wine mixed with myrrh, some might have claimed later that He did not take the full punishment that our sins required, and thereby His sacrifice was not compete. On the second and later occurrence—when Jesus said from the cross, “I thirst,”—He knew that “all things were now accomplished.” It was at this point that He accepted the wine mixed with myrrh. John 19:28-30 After this, Jesus, knowing that all things were now accomplished, that the Scripture might be fulfilled, said, “I thirst!” 29 Now a vessel full of sour wine was sitting there; and they filled a sponge with sour wine, put it on hyssop, and put it to His mouth. 30 So when Jesus had received the sour wine, He said, “It is finished!” And bowing His head, He gave up His spirit. Notice that immediately after Jesus received the wine mixture, He dismissed His Spirit and died. There would not have been sufficient time for the effects of wine and myrrh to have diminished any of His suffering on the cross. It is my opinion that this is an important difference between Jesus’ rejection of the wine on the first occasion and His acceptance of the wine on the second occasion. Jesus was fully in control over everything that happened during His crucifixion and death. John 10:17 …I lay down My life that I may take it again. 18 No one takes it from Me, but I lay it down of Myself. I have power to lay it down, and I have power to take it again. We learn, in this example, why these 365 Old Testament prophecies are so crucial to our understanding of the events that are described in the New Testament. Prophecy 119 speaks of the Messiah being given “gall” and “wine” to drink in anticipation of the Crucifixion. Since myrrh was commonly added to the sour wine that the Roman soldiers drank, it is certain that when Jesus “tasted” the wine that was first offered to Him before He finished His sacrifice—He determined that this mixture was not proper for Him at that juncture, while still dying for our sins on the cross. He may have tasted it to see if it was water, which He could have drank. The fact that He refused the wine with the myrrh and would not drink—is a significant point. Jesus would not diminish His suffering by the effects of the wine and myrrh, while He was bearing the horrors of the cross. Jesus wanted to take all the pain and suffering that the cross would bring and receive the full wrath of God that was deserved for all the sins of the world. He did this so that He could proclaim from the cross: “It is finished,” our debt for sins have been fully paid. There is perhaps no greater mental anguish than being mocked, ridiculed, and laughed at by people. We have seen the tragic effects of this horrible behavior by many young adults who have taken their own lives, rather than continue to be treated with such contempt. There is a deep sense of hopelessness, shame, and despair that comes from being treated in this manner, which strips the soul of hope and purpose. Jesus was dying before the world for sins that He did not commit, yet those to whom He was giving His life stood before Him in utter hatred. Matthew 27:39-44 And those who passed by blasphemed Him, wagging their heads 40 and saying, “You who destroy the temple and build it in three days, save Yourself! If You are the Son of God, come down from the cross.”41 Likewise the chief priests also, mocking with the scribes and elders, said, 42 “He saved others; Himself He cannot save. If He is the King of Israel, let Him now come down from the cross, and we will believe Him. 43 He trusted in God; let Him deliver Him now if He will have Him; for He said, ‘I am the Son of God.’ ”44 Even the robbers who were crucified with Him reviled Him with the same thing. This was predicted in Prophecy 74: The people will shoot out their lip and shake their heads at their disgust with Him. And in Prophecy 79: Those who see the Messiah being crucified will hate Him and mock Him. In all of the many details of Jesus’ crucifixion, we might miss the significance of the entire process of crucifixion. The intent was not to simply torture the condemned by massive physical pain, there was also an emotional element to this vicious process. As Jesus is thrown to the ground in order to hammer the massive iron nails into His hands and feet, the soldiers remove all of His clothing. The humiliation of being nailed to a cross was greatly magnified by being stripped and publicly humiliated before the whole world. Often remaining on the cross for several hours, the crucified were forced to relieve themselves while naked before the crowds of people who stood nearby. Prophecy 81: The Messiah will be stripped of His clothing and be naked before the world. Psalms 22:17 “I can count all My bones. They look and stare at Me. Prophecy 82: The garments of the Messiah will be divided and gambled for by those who watch Him die. All four Gospels record this event. Matthew’s account is short and to the point. Mark adds the fact that they divided the garments Jesus wore, and gambled to determine who would receive each piece. Luke includes a personal comment by Jesus, asking the Father to “forgive them” for what they were doing to Him. John has the most detailed of the four: Jesus’ outer clothing was seamless, meaning that it was considered valuable. This was the type of robe that a king or great man would wear. The Roman soldiers agreed to cast lots or draw straws—to see who could take the entire outer robe without dividing it amongst the three soldiers who were there at the crucifixion. 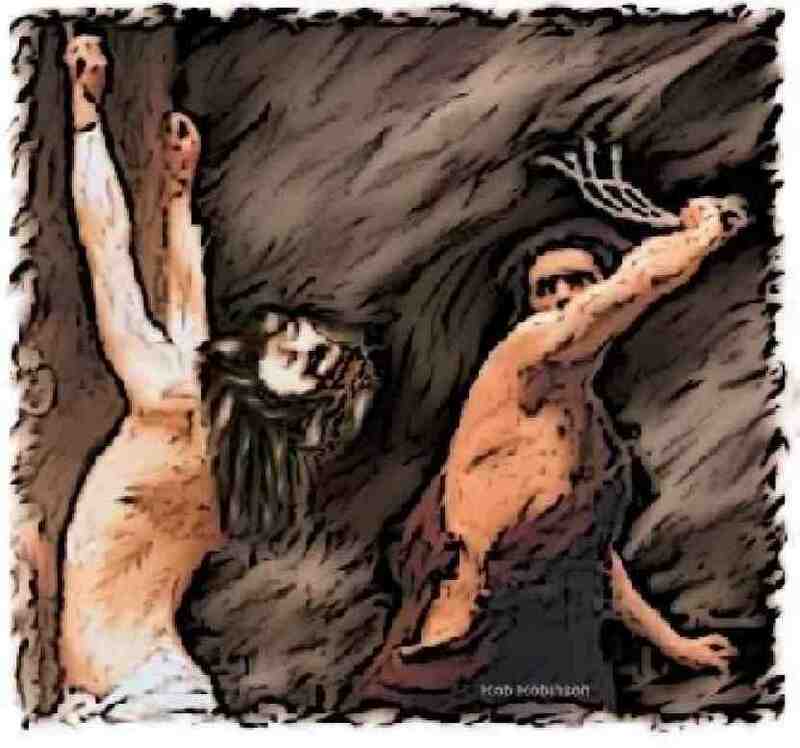 Matthew 27:38 Then two robbers were crucified with Him, one on the right and another on the left. This event was predicted in the Old Testament by Prophecy 268: The Messiah will be numbered, at His death, with those called transgressors. Isaiah 53:12 Therefore I will divide Him a portion with the great, And He shall divide the spoil with the strong, Because He poured out His soul unto death, And He was numbered with the transgressors, And He bore the sin of many, And made intercession for the transgressors. When we examine the New Testament fulfillment of Isaiah’s prophecy, we find that there were in fact two thieves who were also condemned to die by crucifixion along with Jesus. At first, both men ridiculed Jesus for His claim to be Holy, now being crucified along with them. Somewhere in the midst of their own suffering, one of these men realizes that Jesus is the Messiah He claimed to be. He hears the love and grace of the Lord even while He is suffering—asking His Father to forgive the very men who are putting Him to death. This act of incredible forgiveness has a profound effect upon the heart of one of the two robbers. He cries out to Jesus: “Lord, remember me when You come into Your kingdom.” A subtle but sincere statement of salvation in the final moments of a dying man’s life. Though his confession contains few words, it is sufficient to move Jesus to pronounce him forgiven and worthy of eternal life. This example of salvation being given to a dying criminal is an eternal testimony of the love and grace of the Lord. Even at the end of a life filled with sin—if there is repentance and a sincere turning to God—He will abundantly pardon and welcome the humble into heaven. This is set before us as an eternal example of how far the Lord will go in enduring the stubborn and willful rejection of God, during a person’s entire life. Jesus said that many of those who make it into the kingdom of heaven will be those who came at the very end of their life. This point is graphically illustrated in the eleventh Parable of Jesus—the workers in the vineyard—from Matthew 20:1-16. See the 11th Parable of Jesus for more information. As Jesus will Himself die in just a short time, the scriptures state that He will descend into the “lower parts of the earth” where Abraham’s Bosom resides, also called “paradise.” See: Prophecy 91 and Prophecy 100. This criminal is saved by no altar call, no baptism by a particular technique, no church membership or speaking in tongues; only through his sincere request of Jesus: “Lord, remember me.” Immediately and without hesitation, the Lord declared that at that moment, his sins are forgiven; and he will be with Jesus in paradise. Even the slightest movement towards God in sincere repentance will be enough for the Lord to grant any person eternal life. The weight of a human body cannot be supported by the small bones in the hands. 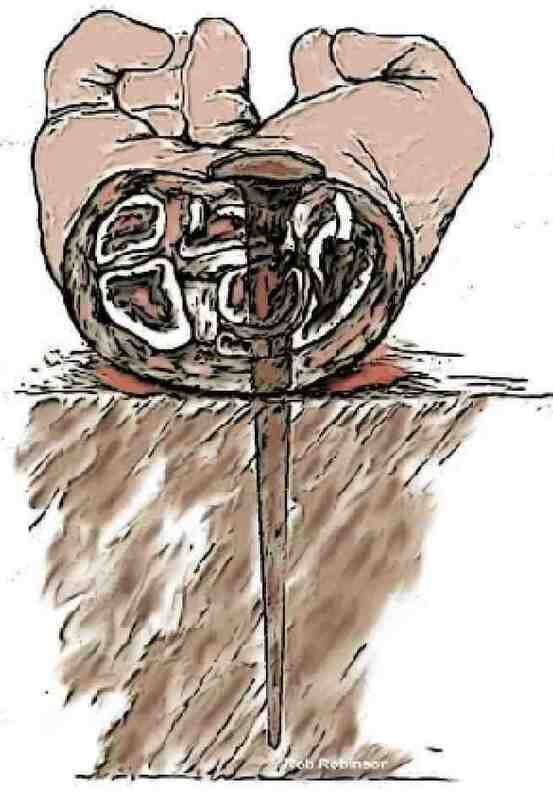 This required that the nails that were used to secure a body to the cross, which were usually 6 to 9 inches in length, were driven between the small bones of the wrists called “The Radial, Ulna and Carpal bones.” The effect of placing the nail here through the wrist of Jesus was to sever the “Median nerve” that supplies all control and feeling in the hand. This injury causes the fingers of the hand to fold into a “claw,” with the thumb folding inward under the palm. Forensic Report: The hands were pierced, blood flow indicates the arms were extended. This blood flow is consistent with a person being crucified which required their arms to be stretched out from the body and upward at about a 65-degree angle. Forensic Report: Indications of piercing at the wrists which caused medial nerve damage. David, writing under the influence of the Holy Spirit, gives us a prophetic look into the future and allows us to understand what the Messiah would feel as He was crucified. An interesting fact concerning Psalm 22 is that when David wrote this vivid description of the Messiah being crucified, this form of execution had not been invented. Prophecy 80: David wrote that the hands and feet of the Messiah would be pierced. Simon, who had helped Jesus carry His cross, is ordered to place the “Patibulum” on the ground. A larger 9-inch nail is driven through the front of both Jesus’ feet, securing His legs to the cross. 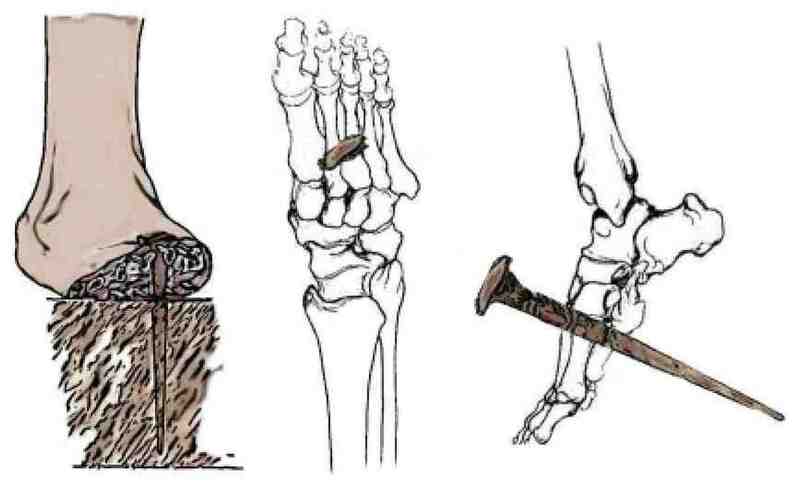 Jesus’ feet were fixed to the front of the cross by an iron spike driven through the first and second “Intermetatarsal Space,” just opposite to the tarsometatarsal joint. 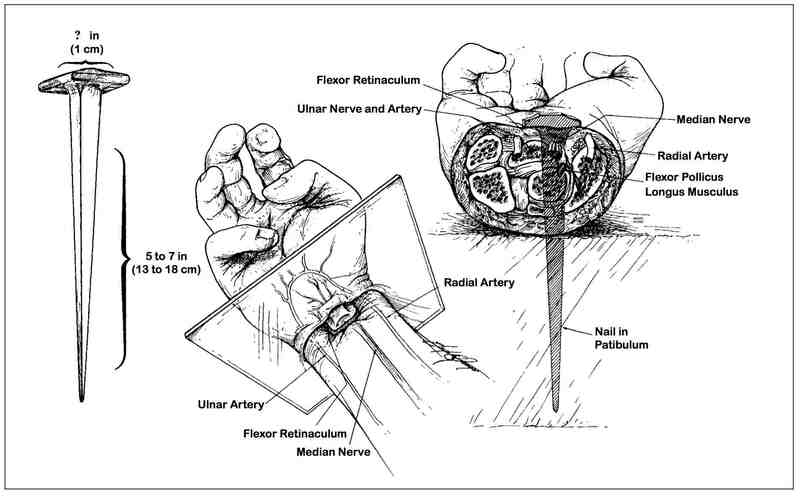 It is highly likely that the deep “Peroneal nerve” and branches of the “Medial and Lateral Planter nerves” would have been injured by the nails. Forensic Report: Both feet were pierced with a single object. We cannot begin to imagine the intense suffering that this injury caused Jesus. Most of us know how much pain a stubbed toe can cause. To have an iron nail driven into the flesh and bone of both our feet is incomprehensible. Before Jesus left heaven to come to earth and become one of us, He knew about each torment of the cross. Despite this knowledge, it was ahead to the future that Jesus looked, where each one of us would be with Him in heaven, free of all our sins and be perfect forever. It was for this reason that Jesus endured the suffering and shame that took His life. Forensic Report: Arrangement of the legs indicates a person who was crucified. As we continue to follow the forensic reports of Dr. Bucklin, who examined the Shroud of Turin, we are amazed that the precise events describing Jesus during His crucifixion, are confirmed by the pathology information that is still visible on the shroud. It is certain that the Lord left this piece of evidence for us, to remain as visual proof for His death and resurrection. Jesus’ arms have now been stretched 6 to 9 inches longer than normal, as the weight of His body has dislocated His shoulders and elbows. The tension on His chest makes it almost impossible for Him to breathe. It places Jesus’ chest in a permanent state of exhalation. In order to empty his lungs of air, Jesus’ shoulders must be released from their present fixed position. Jesus must now push down with His feet against the Cross and pull up on His arms that have been dislocated from His shoulders. Every time Jesus makes an effort to draw a breath, He must exchange a breath of air for unimaginable piercing pain through His feet, hands, and shoulders. By raising Himself up on the Cross, He is also forcing His shredded back—up and down—upon the jagged and splintered wood of the Cross. Forensic Report: Chest indicates severe difficulty in breathing. This process of pushing Himself up to breathe cannot be maintained by Jesus for very long. His legs have given out; His arms are dislocated. Jesus takes smaller and smaller breaths until He simply cannot push Himself up to breathe any longer. According to medical experts, Jesus’ body is now undergoing a series of catastrophic physiological effects. If the lungs are no longer able to supply oxygen to the blood, “Hypoxemia” sets in. The carbon dioxide in the blood begins to build up, causing “Hypercarbia” or extreme rhythm of the heart. This increased level of carbon dioxide stimulates Jesus’ heart to beat faster. The faster His heart beats, the greater the demand for oxygen. The problem is—there is no available oxygen because He cannot raise Himself to breathe—resulting in the heart beating faster and faster until it reaches a maximum rate of about 220 beats per minute. The lungs are collapsing, a medical term called “Atalexidas.” The lungs collapsing increases the pressure on Jesus’ pulmonary arteries that go to the lungs. The buildup in pressure on these arteries called “Plural Effusion” causes both lungs to be filled—with up to a gallon of fluid. There were two moments when Jesus was offered bitter wine while He was on the cross. This is the second of the two. On the first occasion, Jesus refused to accept the bitter mixture of wine and myrrh, because the sacrifice that He was making for the sins of the world was not complete. The mixture of wine and myrrh would act as a pain killer and diminish the effects of His suffering. Jesus came to bear the full wrath of God for all of our sins, so that there would be no debt left for any of us to pay. As the sacrifice is complete, Jesus receives the wine and myrrh on this second occasion, and then dismissed His Spirit a short time later. John 19:29-30 Now a vessel full of sour wine was sitting there; and they filled a sponge with sour wine, put it on hyssop, and put it to His mouth. David wrote a vivid prediction of this event in Psalm 22, Prophecy 78. The Messiah will thirst while on the cross. Psalms 22:15 …My strength is dried up like a potsherd, And My tongue clings to My jaws; You have brought Me to the dust of death. Matthew 27:45 Now from the sixth hour until the ninth hour there was darkness over all the land. Prophecy 220: Upon the Crucifixion of the Messiah, all of the earth will grow dark at midday. Prophecy 278: Upon the death of the Messiah, darkness will cover the earth, even as He brings the great light of God’s salvation to all nations. Isaiah 60:1-3 Arise, shine; For your light has come! And the glory of the LORD is risen upon you. For behold, the darkness shall cover the earth, And deep darkness the people; But the LORD will arise over you, And His glory will be seen upon you. Prophecy 317: The darkness that will cover the earth during the crucifixion of the Messiah will stand as testimony that the last days have begun. Joel 2:28-32 And I will show wonders in the heavens and in the earth: Blood and fire and pillars of smoke. The sun shall be turned into darkness, And the moon into blood, Before the coming of the great and awesome day of the LORD. Prophecy 327: When the Messiah is crucified, the Sun will darken at noon. Amos 8:10 I will make it (darkness on that day) like mourning for an only son, And its end like a bitter day. This is an incredible addition to our understanding of this darkness that took place during the three hours, from 12 p.m. to 3 p.m. Amos predicts that this darkness is attributable to “mourning for an only son.” As all the sins of the world are placed upon Jesus, He takes the full punishment for those sins for us. The Father, watching His only Son become sin—when He formerly was perfect for eternity—causes His own heart to mourn for Jesus. We have “the sun going down at noon” (verse 9) and “mourning for an only son” (verse 10), from the prophecy of Amos. As the Light of the world is put to death when all of the sins of the world are placed on Him, darkness covers the land—signifying the attempt of darkness, sin, and death to smother and eradicate the light. For three days, the world remained in darkness and utter hopelessness—until the third day dawns, when Jesus burst forth from the darkness, eternally defeating sin and death. At that moment and forever more, light has reigned victorious, having defeated all the forces of darkness once and for all. A substantial record, from the Roman orator Julius Africanus and the Christian theologian Origen, tells of a Greek historian by the name of Phlegon, who recounts an event which took place during the time when Jesus was being crucified—a lunar eclipse. Julius Africanus records that according to Roman historian Thallus, the darkness which occurred during Jesus’ crucifixion, could not have been caused by a solar eclipse. The feast of Passover is always observed on the 14th day of Nissan, during a full moon. A solar eclipse can only occur when the moon is new (not full) and under the sun. It is astronomically impossible for a total eclipse of the sun to occur—concurrent with a full moon. Tertullian, an early Christian church defender of the faith, describes the darkness surrounding the crucifixion as occurring precisely during the time of day when Jesus was upon the cross. The secular record of history states that during the time when Jesus was being crucified, the moon was full; and there was a lunar eclipse that took place from 6:20 p.m. to 6:50 p.m. This would make a solar eclipse impossible during the time when Jesus was dying on the cross—from 12-3 p.m. This defines the darkness which occurred during that time as a supernatural event—not from any known natural event. As Jesus has now been made sin for the entire world—those sins being placed upon Him—the Father can no longer have fellowship with Jesus. This is the first moment in all of eternity, when Jesus has experienced a disconnect of fellowship, which He has enjoyed with the Father—forever. Jesus quoted this verse from Psalm 22 because He was demonstrating from the scriptures that He is the Messiah. Jesus said My God, My God, why have You forsaken Me?, at that precise moment when all of God’s judgement was being unleashed upon Him. He was asking the Father how long His wrath would continue. For three hours, Jesus experienced all of God’s judgment for our sins until our debt was fully paid. It was then that Jesus surrendered His spirit and died. For an in-depth understanding of the deep fellowship that Jesus has enjoyed with the Father from eternity, please see Prophecy 353. We can have confidence today that because Jesus took all of God’s wrath for us, there no longer remains any judgement awaiting those who have placed themselves under the sacrifice that He has made. Any person who repents of their sins and receives Jesus as their Savior has peace with God. Because of the cross, there will be no future judgement for any person who has placed their sins in Jesus, because those sins no longer exist. Prophecy 71: The Messiah will be forsaken by God as He takes the world’s sin upon Himself. John 29:30 So when Jesus had received the sour wine, He said, “It is finished!” And bowing His head, He gave up His spirit. At the highest point of His pain and suffering, Jesus cries out from the Cross: Tetellisti, It is finished, or literally, the debt is paid in full. What did Jesus mean by proclaiming that our debt was fully paid? Before Jesus came to earth and made His life a sacrifice—everyone of us remained under the judgment of God. At the moment of Jesus death, all of our debt was cancelled and we were made perfect in the sight of God. The complete work of salvation was finished by Jesus at the cross. There is nothing else that you can do to pay for your sins or to earn favor with God. There is no other way, no other person, no other church or religion that can complete your salvation. “It is finished” by Jesus’ death and resurrection. If there was any other way that we could obtain the forgiveness of our sins and eternal life, then Jesus would not have had to die. The fact that God sent His only Son into the world to die for us means that there is no other plan that can save us. Jesus is the only way to heaven! Luke records an additional detail in describing the final moments of Jesus’ death in which He speaks the precise words that are predicted of the Messiah, in Psalms 31:5. Prophecy 92 The exact words that the Messiah will speak upon His death, as He commits His Spirit to God. Jesus’ continued dehydration causes the heart to increase its rhythm to a maximum of 220 beats per minute, described as: “Tachardia.” This rapid heart rhythm, beyond the capacity of the heart, causes the Pericardial Sac of the outer lining to fill with fluid. 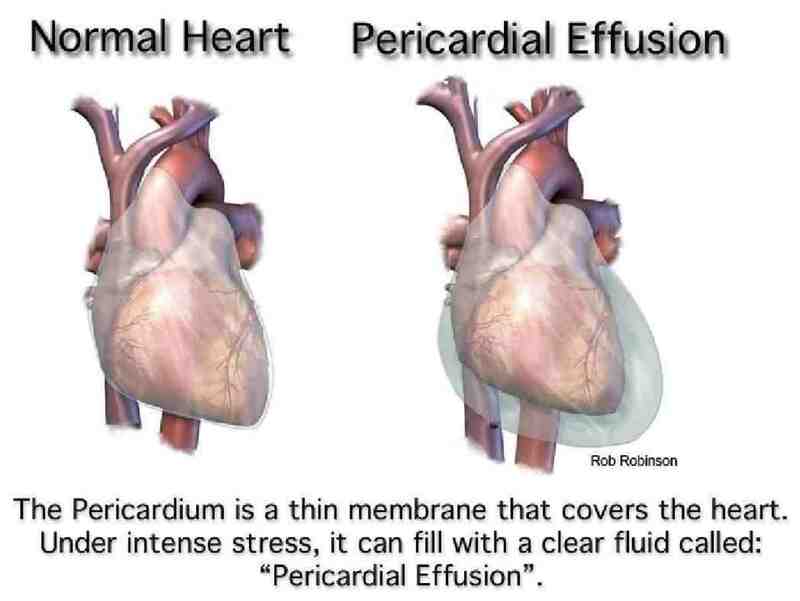 This process is described as “Pericardial Effusion,” which drastically decreases the function of the heart. The presence of collapsing lungs, failing heart, and dehydration produce an inability of the lungs to obtain oxygen, which causes eventual death. In many cases, the heart undergoes an event called “Cardiac Rupture,” where the heart muscle literally breaks open. Evidence that this event had occurred with Jesus’ heart is observed by the piercing of the Roman soldier’s spear, which produces blood mixed with a clear fluid. John 19:34 But one of the soldiers pierced His side with a spear, and immediately blood and water came out. John records what happened after Jesus had died: a Roman soldier took his lance and penetrated the chest of Jesus. The testimony of John is that blood and water came from the wound. John had no way of knowing what this combination of fluids meant. 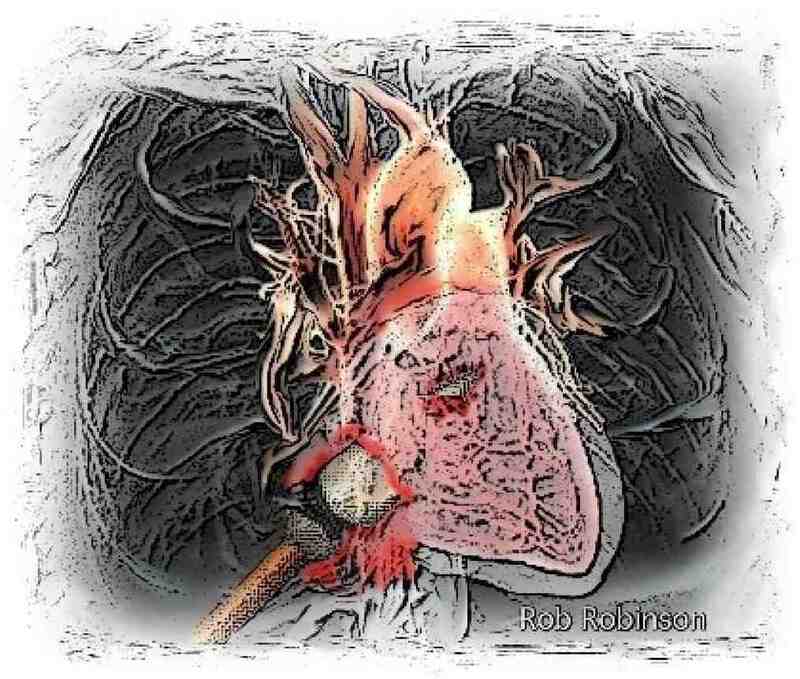 It was not until much later that medical science could confirm that the presence of blood and water from this chest wound meant that the heart of Jesus had ruptured during His terrible crucifixion. Forensic Report: The heart had ruptured. Prophecy 77: The Messiah will be crucified, and die from a ruptured heart. Psalms 22:13 My heart is like wax; It has melted within Me. The stress and anxiety that Jesus experienced while dying on the cross for us is vividly illustrated by the trauma that His heart sustained. Taking the weight of the world’s sin upon Himself while being forsaken by the Father, as He became our sin—the weight of these horrors became more than His body could bear. There are 50 Prophecies of the Messiah’s death from the Old Testament. In this account of Jesus’ Crucifixion, He fulfilled every letter if the prophetic word with precision. See the chapter in this book, “The Death of the Messiah,” for a complete list. Jesus died on the Cross in about 6 hours. According to Prophecy 46, The Messiah will take our curse upon Himself. With the Sabbath fast approaching, the Jews requested that the death of Jesus and the two criminals on either side of Him be hastened. The Romans developed a method for accelerating the death of one being crucified, by breaking the shin bones. Being pinned to the cross, the only method that would allow the condemned to breathe was to press down on their pierced feet into the wooden platform beneath, raising their body upwards—relieving pressure on the lungs and allowing breath to be drawn into the lungs. Once the shin bones were shattered, the crucified could no longer raise themselves to breathe, resulting in a swift death. In fulfillment of the Scriptures—when the soldiers arrived at Jesus’ body to break His legs, they find that He is already dead. We should remember that Jesus also came to fulfill the entire type and purpose for the Old Testament Passover Lamb. According to the provisions of the Book of Numbers Chapter 9, “Not one bone of the Passover Lamb could be broken.” See Prophecy 36. Although the Roman soldiers break the legs of both criminals who were crucified next to Jesus—when they examine Jesus, they find that He has already expired, negating the need to break His legs. Think for a moment and consider what an amazing event this was. How carefully God had to plan and arranged the events of Jesus’ crucifixion so that He would fully pay for the sins of the world on the cross, but die before the soldiers arrive to break His legs. Imagine what it would have meant if Jesus had continued to live just a short time longer, and the soldiers had also broken His legs! Jesus would have failed to fulfill the prophecies that describe the Messiah as the Passover Lamb with not one bone broken. A simple failure in just this one prediction would have meant that Jesus could not fulfill all the prophecies of the Messiah, and He could not be our Savior. What great precision and control the Lord has orchestrated to ensure that Jesus would fulfill these many Old Testament prophecies! Prophecy 36: Not one bone of the Messiah shall be broken. Jesus has endured more than 30 hours without sleep and perhaps as much as 21 hours without food or water. He has gone through six illegal trials, many false accusations, and experienced extreme torture and pain. His suffering was so great; it is amazing that He could survive the six hours that He endured on the cross. Six is consistently seen in the Bible as the number of a man (Revelation 13:18), the number of incompleteness representing our sins before God. The sixth commandment is against murder; the sixth instruction in the Lord’s prayer is against sin. A slave remained a slave in the Old Testament for six years. On the seventh year, he must be set free. It has been about six thousand years that all mankind has been under the slavery of sin and death. As Jesus suffers the full wrath of God for all our sins for 6 hours, our time of slavery to sin and death comes to an end. All those who will believe and receive Jesus as their Savior have appropriated, to their account, perfect righteousness; while their full record of all sin is expunged. An event that is not often discussed in context with the death of Jesus on the cross is what is described by Matthew’s account—which took place immediately after the crucifixion. Matthew 27:51-53 Then, behold, the veil of the temple was torn in two from top to bottom; and the earth quaked, and the rocks were split, 52 and the graves were opened; and many bodies of the saints who had fallen asleep were raised; 53 and coming out of the graves after His resurrection, they went into the holy city and appeared to many. Prophecy 113 in this book discusses these events in great detail. Psalms 68:18b describes the Messiah taking with Him, back to heaven, all of those who had died before He arrived to make His life an offering for the sins of the world. After Jesus rose from the dead, the narrative of the New Testament describes Him taking all these Old Testament believers with Him to heaven. Psalms 68:18b You have ascended on high, You have led captivity captive; You have received gifts among men, Even from the rebellious, That the LORD God might dwell there. 1 Peter 3:18-20 For Christ also suffered once for sins, the just for the unjust, that He might bring us to God, being put to death in the flesh but made alive by the Spirit, by whom also He went and preached to the spirits in prison, who formerly were disobedient, when once the Divine longsuffering waited in the days of Noah, while the ark was being prepared, in which a few, that is, eight souls, were saved through water. Matthew 27:50-53 And Jesus cried out again with a loud voice, and yielded up His spirit. Then, behold, the veil of the temple was torn in two from top to bottom; and the earth quaked, and the rocks were split, and the graves were opened; and many bodies of the saints who had fallen asleep were raised; and coming out of the graves after His resurrection, they went into the holy city and appeared to many. What happened to Jesus after He died? The certainty of the 113th prophecy from Psalms 68:18, being written and intended for Jesus Christ as the Messiah, is proven by Paul’s statement in Ephesians 4:8-10. Paul asks the question: “What does it mean?” In other words, “What was the intention and purpose of Psalms 68:18?” Paul believed that the text of this Psalm was a description of Jesus’ death and resurrection, whereby He would descend into the lower parts of the earth. Jesus described two compartments in Luke Chapter 16, somewhere in the center of the earth. One is a place of torment, for those who do not obey God and receive their salvation through Jesus’ sacrifice. The other, a place of comfort, reserved for those who died before Jesus made His sacrifice, called Abraham’s Bosom. See also Prophecy 91 and Prophecy 100 for an illustrated drawing of the two chambers in the center of the earth that Jesus descended into—after He was crucified. Jesus described for us what would happen to Him after He was crucified: He would descend into the lower parts of the earth and remain there until He was resurrected three days later. Matthew 12:40 For as Jonah was three days and three nights in the belly of the great fish, so will the Son of Man be three days and three nights in the heart of the earth. Paul confirms the meaning of Jesus’ words, in Ephesians 4, by stating that Jesus did in fact descend into the lower parts of the earth. He did this to preach to those who had died before He made His sacrifice on the cross, proclaiming all of God’s promises concerning the Messiah, which were fulfilled by Jesus Christ. When Jesus was resurrected, the Old Testament believers who had died awaiting the coming of the Messiah were taken back to heaven, where they remain today. After Jesus’ resurrection, Abraham’s Bosom was closed and is no longer being used. Today, when a person dies who is trusting in Jesus as their Savior, they are transported immediately to heaven to be with the Lord. The saved will remain in heaven with the Lord until the moment arrives for Jesus to return to the earth at the Rapture. At this time, they will be reunited with their resurrected body and dwell forever with the Lord. The place of “torments” described by Jesus remains to the present day, in the center of the earth. When someone dies today without their sins being atoned for by Jesus’ sacrifice, they descend into this place called “Hell” that Jesus described in vivid detail, in Luke Chapter 16. They will remain there until the Lord resurrects them at the end of His 1,000-year reign upon the earth—for the judgment of their sins. We notice after their deaths, both men described by Jesus, are alive and conscious—one in paradise, one in hell. The man in Hell feels pain and is fully conscious, being aware of the reason why He is in Hell. The decision that he made while alive—to reject God’s salvation through the Messiah—is the reason for his presence in this place of torments. The rich man is not in hell for being rich, but for his apparent rejection of the requirement that God has made that all men must receive a pardon for their sins by the coming Messiah. The poor man is not in Abraham’s bosom because he was poor, but in this place of comfort because he apparently received a pardon for his sins by his trust in the coming Messiah and the sacrifice He would make for all sins. What we learn about heaven and hell and life after death from this story is that all men have an eternal soul that lives on past the moment of physical death. Where our soul ends up is determined by our personal decision to either receive God’s Savior or to reject Him. We can choose to suffer judgement by God for our sins; or we can surrender those sins to Jesus’ sacrifice, where they were all atoned for. Those who refuse God’s offer of forgiveness for their sins by Jesus’ sacrifice will wait in Hell for their final judgment. At the end of the one thousand-year reign of Jesus on the earth as the Messiah, the unsaved will be resurrected—to be judged based upon how they responded to God’s command to repent and receive the Messiah as the atonement for their sins. Revelation 20:5 But the rest of the dead did not live again until the thousand years were finished. They stand before God at the “Great White Throne” to be judged for their sins. Revelation 20:11-13 Then I saw a great white throne and Him who sat on it, from whose face the earth and the heaven fled away. And there was found no place for them. 12 And I saw the dead, small and great, standing before God, and books were opened. And another book was opened, which is the Book of Life. And the dead were judged according to their works, by the things which were written in the books. 13 The sea gave up the dead who were in it, and Death and Hades delivered up the dead who were in them. And they were judged, each one according to his works. All those who have rejected Jesus’ sacrifice will be found insufficient to inherit eternal life with God because their sins remain. John describes those who have rejected Jesus as their Savior as being brought to a Great White Throne of judgement because “there was found no other place for them.” The “Book of Life” will be opened, and all those who have rejected Jesus as their Savior will not be in this book. They will all be cast alive into the “Lake of Fire,” where they will remain for eternity. If we reject the only plan of salvation that God has provided, there remains no other way for us to be saved. These individuals will stand before God and be judged for their sins. Those who have received Jesus as their Savior have no future judgment awaiting them because their sins were judged already at Jesus’ cross, where they were fully paid. There remains no future judgment for those who have taken God’s pardon for their sins by Jesus’ Sacrifice. Romans 5:9 Much more then, having now been justified by His blood, we shall be saved from wrath (judgment for our sins) through Him. Romans 8:1 There is therefore now no condemnation to those who are in Christ Jesus…. Colossians 2:13 And you, being dead in your sins and the uncircumcision of your flesh, hath he quickened together with him, having forgiven you all trespasses; 14 Blotting out the handwriting of ordinances that was against us, which was contrary to us, and took it out of the way, nailing it to his cross.. If a person dies today without receiving God’s offer of a full pardon for his sins by Jesus Christ, he descends into hell to await his final judgment, as described in the Book of Revelation Chapter 20. Those who lived before Jesus was crucified and rose from the dead were saved by looking forward to His coming. Those who live after Jesus was crucified and rose from the dead are saved by looking back to His completed sacrifice. All people are saved in the same way, whether by looking forward or backward; all who look to Jesus for their salvation will be saved. Why would Jesus do this? Simply because He loves us all so much. This is why He was willing to allow these evil men to torture Him to death. This may be the first time in your life that you have heard what Jesus went through, in such graphic detail. Perhaps, you were not aware that Jesus had gone through so much suffering and that He had endured it all because of His love for you. This is the graphic and unmistakable love of God. Thanks to William D. Edwards, M.D. for his wonderful paper, “On the Physical Death of Jesus Christ.” The graphic medical descriptions for Jesus’ suffering as well as some of the images depicted in this chapter were used by permission. Herzog 1: On the eve of Passover, they hanged Jesus the Nazarene. Vatican 130: He went and brought up Jesus the Nazarene. Vatican 140: He went and brought up Jesus. Munich 95: On the eve of the Passover, they hanged Jesus of Nazareth. Firenze 11.1.8-9: On the Sabbath eve and the eve of Passover, they hanged Jesus the Nazarene. Karisruhe 2: On the eve of Passover, they hanged Jesus the Nazarene. Barco: On the eve of Passover, they hanged Jesus of Nazareth. Dr. Bucklin went home to be with the Lord on 09/19/2001. Illustration by Rob Robinson from the public domain images of the Shroud of Turin and the Lepton coins. An Autopsy on the Man of the Shroud by Robert Bucklin, M.D., J.D. IVP Bible Background Commentary on John chapter 19:2. Antiquitates Judaicae 18.95-97 Bond, Caiaphas, p. 86. Although their end came later, it was in this first month that God Determined their fate. Although God told Adam that He would die, and this was determined by God immediately, his actual death came later. From Edwards WD, Gabel WJ, Hosmer FE. On the Physical death of Jesus Christ. From Edwards WD, Gabel WJ, Hosmer FE. On the Physical death of Jesus Christ. JAMA 1986;255(11):1455-63. Used with permission of Mayo Foundation for Medical Education and Research, all rights reserved. Edwards WD, Gabel WJ, Hosmer FE. On the Physical death of Jesus Christ. 1. Lumpkin R: The Physical Suffering of Christ. J Med Assoc Ala 1978;47:8-10, 47. 2. Johnson CD: Medical and cardiological aspects of the passion and crucifixion of Jesus, the Christ. Bol Assoc Med PR1978;70:97-102. 3. Barb AA: The wound in Christ’s side. J Warbury Courtauld Inst 1971;34:320-321. 4. Bucklin R: The legal and medical aspects of the trial and death of Christ. Sci Law 1970; 10:14-26. 5. Mikulicz-Radecki FV: The chest wound in the crucified Christ. Med News 1966; 14:30-40. 6. Davis CT: The crucifixion of Jesus: The passion of Christ from a medical point of view. Ariz Med 1965;22:183-187. 7. Tenney SM: On death by crucifixion. Am Heart J 1964;68:286-287. 8. Bloomquist ER: A doctor looks at crucifixion. Christian Herald, March 1964, pp 35, 46-48. 9. DePasquale NP, Burch GE: Death by crucifixion. Am Heart J 1963;66:434-435. 10. Barbet P: A Doctor at Calvary: The Passion of Our Lord Jesus Christ as Described by a Surgeon, Earl of Wicklow (trans). Garden City, NY, Doubleday Image Books, 1953, pp 12-18, 37-147, 159-175, 187-208. 11. Primrose WB: A surgeon looks at the crucifixion. Hibbert J, 1949,pp 382-388. Bergsma S: Did Jesus die of a broken heart? Calvin Forum 1948; 14:163-167. 12. Whitaker JR: The physical cause of the death of our Lord. Cath Manchester Guard 1937;15:83-91. 13. Clark CCP: What was the physical cause of the death of Jesus Christ? Med Rec 189o;38:543. 14. Cooper HC: The agony of death by crucifixion. NY Med J 1883;38;150-153. 15. Stroud W: Treatise on the Physical Cause of the Death of Christ and Its Relation to the Principles and Practice of Christianity, ed 2. London , Hamilton & Adams, 1871, pp28-156, 489-494. Ibid, on the Physical suffering of Jesus Christ. Ibid. On the Physical Death of Jesus Christ. From Edwards WD, Gabel WJ, Hosmer FE. On the Physical death of Jesus Christ. JAMA 1986;255(11):1455-63. Used by permission, from the Mayo Foundation for Medical Education and Research, all rights reserved. Bucklin R: The legal and medical aspects of the trial and death of Christ. Sci Law 1970; 10:14-26.